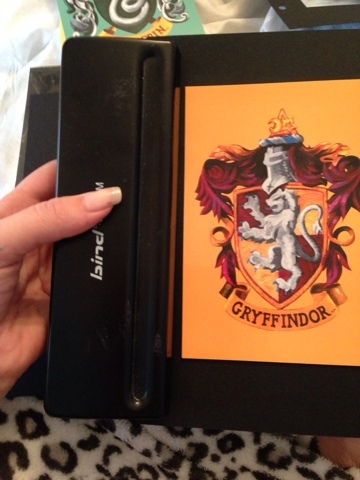 I thought I'd show you how I made the Harry Potter dividers last week. Be gentle with me though, it's my first how to post. You will need A4 black card and postcards. 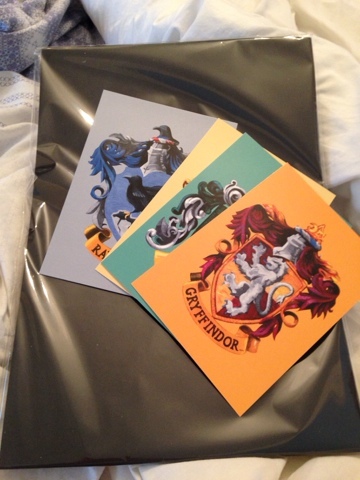 I got these from the Harry Potter Studio Tours in London. You can order them online from the Studio's shop, but there's no guarantee you'll get the ones you want. You'll also need an A5 hole punch, an old set of dividers, a silver gel pen. You may also want gold and silver sharpies. 1. Line up the divider with the edges of the card. 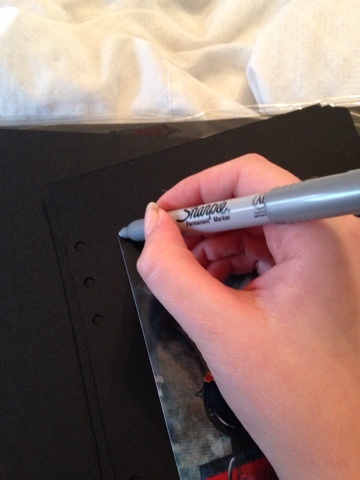 Draw around the tab edge with your silver gel pen. This way you keep cutting to a minimum. 2. You should have a silver line that looks like this. Very carefully cut along the line with a pair of scissors. 3. Carefully glue your postcard into the middle of your divider. 4. 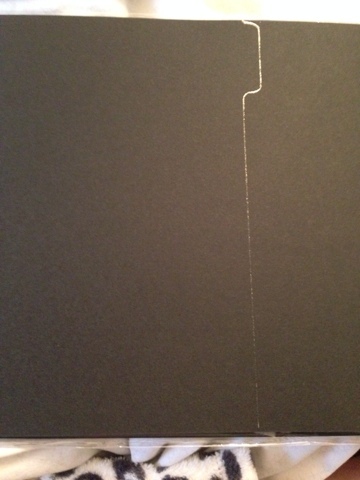 Carefully go around the edge of your postcard with a silver (or gold) sharpie. This just makes the postcard stand out and helps give the divider a nice finished feel. 5. 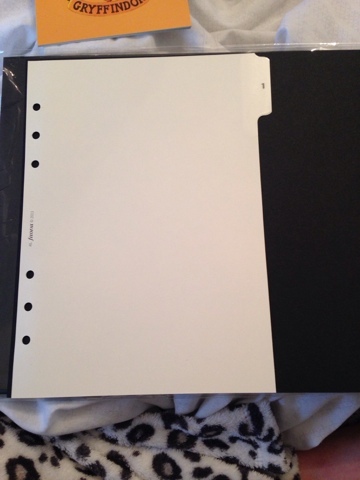 Carefully line your hole punch up to punch your divider. As the card is thick if suggest only punching one at a time or risk jamming your hole punch and ruining your dividers. 6. Repeat 1-5 for the other 5 dividers. You should now have a full set. 7. 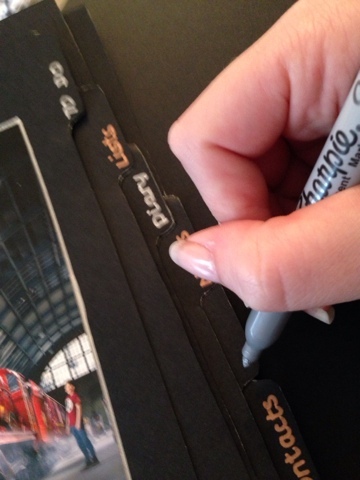 As a finishing touch you can use your sharpies to write labels on the tabs. I alternated bronze and silver. Finally you may wish to laminate your dividers; it protects them and makes them last longer. Remember you will need to cutout, punch and laminate your dividers again after laminating.